A safe environment based in Highgate N6. Welcome to my website. 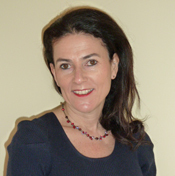 My name is Suzy Polin and I have had extensive experience in Private Practice and the NHS, helping both adults and adolescents who are struggling with emotional and psychological difficulties. Many people experience emotional difficulties at some point in their lives and it’s often hard to understand the root of our own pain. Talking about problems can be a daunting prospect but I can provide a safe, supportive environment which can help you share your difficulties. This will enable you to then find new and alternative ways, which will relieve your psychological symptoms, generate more positive changes for the future and bring about a greater sense of well being. I can support you through your most difficult emotional times. I practice Psychodynamic Psychotherapy and Counselling, which can be both short-term and longer-term. Together we can decide what is best suited to your needs. Find out more about how I work and the issues I can help you with.